Did you just start reading this blog yesterday? I don’t recall a post where you said you had two hundred pots. You’ve since doubled your collection? Well this blog’s been about 11 years…. That is a great idea. It could help me out with my teaware clutter. I find it funny that all of the other comments are in disbelief of the size of your collection. Oooh, thanks for the tip on aged oolong. I’ve tried a couple and wasn’t impressed, but will definitely try them grandpa style now. 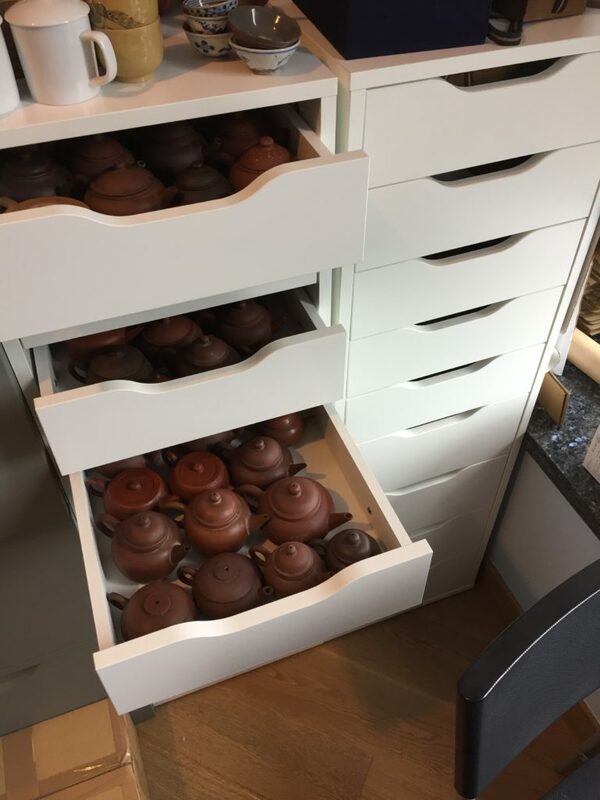 Thanks for the post on how you store your teapots. I will have to check it out!